Is there perhaps good news on the horizon at last for the Edinburgh tram project? Testing will be carried out on other parts of the line past Edinburgh Park at the beginning of December 2013, although the date for beginning operation is still said to be May 2014. 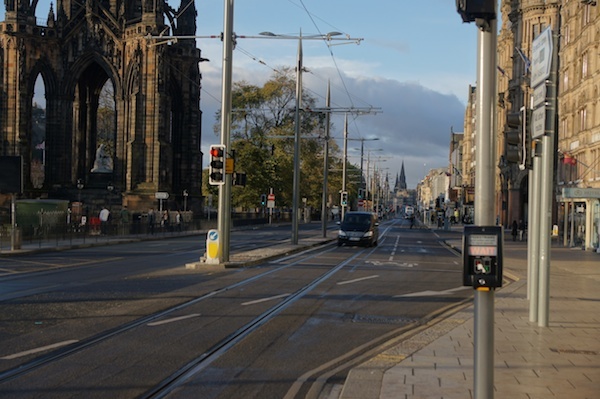 However the considered decision of one of the UK’s leading civil engineers is that Edinburgh’s tram will enhance the ambience of Princes Street and have a positive impact on the city.